Pals August Blog Hop – Cut It Out With Botanicals! My “Cut It Out” project is all about Thinlits and Framelits. How did we ever do without them? When I got my new Annual Catalog, I put the Botanical Tags Thinlits on top of my Wish List. I simply loved the beautiful tags pictured in the Catty. When I started working on today’s project, I had to use them in some way, but I knew I did’t want a tag. I enjoy creating 3 X 3 notes, so I knew little note cards would be it. I just received the new Holiday Catalog along with my new order full of some of the most beautiful stamp sets and patterned paper I’ve seen in a while so I was, of course, confused… do I go with my pretty Framelits or do I venture into a Sneak Peek project for Fall? I thought it best to follow the rules and Framelits it was, but with a few of my favorite Fall colors: Rich Razzleberry, Night of Navy, Mossy Meadow and Crushed Curry. Once all my decisions were made (and believe me, it wasn’t easy), my Big Shot went into high gear and my four note cards were completed in just a few minutes. I didn’t think a sentiment was necessary because the cropped flower is so beautifully detailed. Of course, I had to add a little bling and was leaning toward a few sequins. My friend, Rory, saw my cards on my stamping table and suggested I use a few of the Clear Rhinestone Basic Jewels… she was right. All each flower needed was just a little sparkle. The flower and little rhinestone sit perfectly on a circle Framelit from the Stitched Shapes Framelits Dies. These little notes can be used for just about any occasion tucked into a gift bag, or package them into a decorated Mini Pizza Box and give them as a gift. They fit perfectly into Stampin’ Up!’s 3″ X 3″ Whisper White Envelopes. So, grab your favorite Thinlit, cut it out on bold card stock add a little bling and create something simple and pretty! World Card Making Day Celebration – Stampin’ Up! Happy Sunday and Welcome October! Here’s a sweet and simple note card that I put together in just a few minutes. A few strands from a piece of 5/8″ Burlap Ribbon is just the right amount of embellishment! The Whisper White Note Cards and Wood Words stamp set are 15% off starting today through October 10th. Take a look at the details below. The Wood Textures Designer Series Paper Stack, which coordinates with the Wood Words stamp set can be FREE with the purchase of three Designer Series Paper selections. So, pick out a stamp set ON SALE, grab yourself a set of Note Cards ON SALE, stock up on your favorite Designer Series Paper, add a little Burlap Ribbon and create something sweet! World Card Making Day has been an annual event for a very long time. The actual Day is always in the beginning of October and those of us who enjoy making hand made cards celebrate the creativity and personal connection hand made cards make between loved ones and friends. This year, the world celebrates the Day on Saturday, October 7th. I’m looking forward to meeting up with some old and new friends in Atlanta for the celebration… it’s always a fun day. 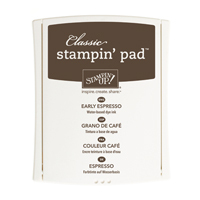 To make it more exciting and fun for you to celebrate along with us, Stampin’ Up! is offering a fabulous new promotion that will last 10 days… from today through October 10th. With 15% off selected items, you can order a few “essentials” to celebrate your creativity your way! Click here for all the details. AND… To make it even more interesting…. Stampin’ Up! 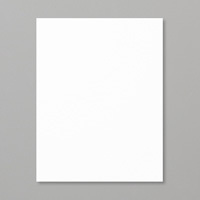 is also giving away one FREE Designer Series Paper selection if you purchase three. NOW, if you take advantage of the “World Card Making Day” sale and choose a stamp set or two, or three, purchase the Fast Fuse adhesive, (you will get two Fast Fuse refills FREE), and choose some Designer Series Paper to coordinate with your stamp sets, you’ll have the essentials to create your own beautiful cards. Each year for the Holidays, I make a bunch of note cards. I usually put them on gifts with a handwritten note inside; I've grouped them in sets of four with a ribbon around them and given this little "gift" to friends and family during the Thanksgiving Holiday. I've also boxed them to give as gifts. So, this is my first set of Holiday note cards for 2014, stamped with the "Festival of Trees" stamp set. The trees are all different, but they all have a shiny sequin star! Each finished note card is a 3" square with a matching lined envelope. It's all in the details! The Real Red 3/6" Satin Woven Ribbon is simply stunning. Its softness makes is so easy to tie a neat bow. So, grab a Holiday stamp set, crop some 3" cards and create something stunning! SHOP MY ONLINE STORE AT STAMPIN' UP! Don't you just love this little guy? I think he's cute as cute can be. I love his smile and his casual hello. I created this card around this stamp. Today, I was compelled to ink it up. He's from the Fun With Christmas stamp set which is in the Holiday Catalog. The images are small, but adorable and you really can have fun with them. 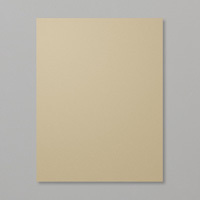 This is a 3 3/4" square note card with a 4" square matching envelope. It'll make a great little note card to attach to a special gift. The design is simple and definitely Quick & Easy. Not a whole lot of color to talk about here. Cherry Cobbler is a rich, deep, warm red. I stamped the little guy with Chocolate Chip just because it's a little warmer of a neutral than the black and although bold, I wanted to keep the look soft and relaxed. My focal point, sentiment banner, and embellishment are all in my "Sweet Spot". I wanted to draw attention to the cluster of elements, but because my snowman is flanked by the darker tones, your eye will single him out. My card design is balanced asymmetrically. Definitely a more whimsical layout. I do have repitition with color and pattern, but there's a variety of elements. The Cherry Cobbler Chevron Ribbon anchors my elements and the smaller Cherry Cobbler circle seals the deal for color balance. I'm glad it's Friday. It's been quite a busy week at work and I have a busy weekend planned putting the finishing touches on my new stamping room. You all have a wonderful weekend and be sure to pull out your stamps and ink and create something beautiful! Stampin' Up! Supplies Used: Card Stock – Whisper White, Cherry Cobbler. Stamp Sets – Fun With Christmas, Christmas Tagables Photopolymer Stamp Set. Ink – Old Olive, Chocolate Chip and Cherry Cobbler. Embellishments – Cherry Cobbler Chevron Ribbon. Tools – Circles Collection Framelits, Stampin Dimensionals.